A recently published paper showed that mice with colon cancer can be “vaccinated” with human embryonic stem cells and have a significant immune response against the cancer (Li et al., 2009). This study relates to a big hurdle that needs to be overcome in order to better fight cancer: immune tolerance. The immune system usually fails to detect and attack cancerous tumors, and consequently many cancer treatments are currently being developed that stimulate the immune system to fight back (e.g. the growing field of cancer vaccines). Cancerous tumors and embryonic tissues have been found to share many of the same antigens, which are detected by the immune system through antibodies. This group of antigens is called oncofetal antigens. Consequently, animals can be vaccinated with embryonic tissues/cells (most recently done with human embryonic stem cells) and develop an immune response against cancer. Interestingly, this state of immune tolerance is similar to what happens during pregnancy, and, more specifically, it’s been found that the body’s response to a tumor is very similar to its response to embryonic tissues. 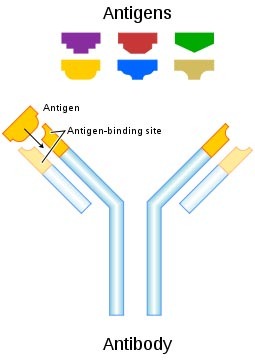 While much recent research has not been published in this area, there is actually a long history of studies that show: (1) there is a significant number of antigens shared between tumors and embryonic tissues (called “oncofetal antigens”) and, consequently, antibodies made against tumors can also recognize embryonic tissues, and vice versa; (2) pregnancy confers some immunity against cancer (accompanied by antibody production against oncofetal antigens), not only against its occurrence but also against its growth; (3) similar to pregnancy, an immune response against cancer can be generated by vaccinating animals with embryonic tissues. These studies and the recent re-visitation will be explored below (for a more detailed review, see Brewer et al., 2009). The first published suggestion that tumors may have an embryonic nature came in the early 1800s (Muller, 1838). Tumors were suspected to be tissues that had been triggered to become embryonic-like again, and it is now generally accepted that tumors are indeed more “embryonic” than the tissues they are derived from, due to the re-expression of embryonic-related genes. By the late 1800s, researchers understood cancer enough to realize that they must better understand normal development in order to better combat cancerous tumors and their embryonic-like cells (Brewer et al., 2009). In the 1880s, these studies shifted focus; the field of immunology was born (from research conducted by Louis Pasteur, at the University of Strasbourg, and Robert Koch, as a medical officer in Poland) and many researchers focused on creating vaccines to cure diseases. Cancer was no exception. Teisha J. Rowland, the author of All Things Stem Cell, recently started a general biology column with The Santa Barbara Independent. This new column, titled “Biology Bytes,” will have weekly stories posted on a wide variety of biology topics, so far ranging from snails, marsupials, and parrots, to stem cells. The most recent article, “Likely Suspects in Cancer Growth,” is on cancer stem cells — it is a modified version of the “All Things Stem Cell” post “Cancer Stem Cells: A Possible Path to a Cure” to fit a more lay public audience. Tune in to “Biology Bytes” for weekly stories on a wide array of fascinating biology topics, including more accessible explanations of stem cell biology. Recently, many papers have come out that highlight connections between cancer and induced pluripotent stem cells (iPSCs), the latter of which was discussed previously. These papers hold many implications for not only iPSCs, but for our understanding of cancer as well. Additionally, these papers should not at all be thought of as invalidating the importance of iPSCs for studying and treating future therapies, but they should help us better understand what iPSCs are and how to use them appropriately. The most recent and most publicized link between iPSCs and cancer is p53. p53, also known as protein 53 (53 referring to its molecular mass), is a well-studied protein whose normal function is important in preventing cancer. Though p53 has many different roles, they are quite related. In essence, the job of p53 is to make sure the cell does not accumulate DNA damage, or DNA mutations, which could eventually make the cell cancerous. When a cell has its DNA damaged, often from external stresses, p53 stops the normal cell cycle to fix the DNA damage. If the damage is too great to repair, p53 can prevent the cell from dividing, which would create more damaged cells; p53 initiates programmed cell death, or apoptosis. The potential tumor cell dies. Overall, p53 functions as a “tumor suppressor” to prevent abnormal cells from occurring and multiplying into a cancer (Vazquez et al., 2008). Consequently, it has been found that p53 is mutated in approximately 50% of all human tumors, and other tumors may have mutations in the pathway regulating p53 activity (Vazquez et al., 2008). p53 is therefore well-studied as an oncogene, or a gene that when not functioning normally can contribute to a normal cell becoming cancerous. So what does p53 have to do with iPSCs? One recently discovered connection is with the generation of iPSCs. Recently, many research groups discovered that when p53 is deleted from, or damaged in, their cells, they could more easily become iPSCs (Hong et al., 2009; Kawamura et al., 2009; Utikal et al., 2009; Li et al., 2009; Zhao et al., 2008). As posted earlier, iPSCs are cells that were originally from adult tissues, but have been “reprogrammed” to be pluripotent stem cells, or stem cells able to become all the adult cells of the body, looking and functioning nearly identical to human embryonic stem cells (hESCs) (Takahashi et al., 2007; Yu et al., 2007).